What the US sees playing out is hybrid warfare, which employs irregular troops and focuses on destabilizing the region via mass rallies as well as cyber-attacks on critical infrastructure, according to the newspaper. The conflict in Ukraine has been used by the US as a catalyst for more preparations: “Russia’s invasion of Eastern Ukraine urged the US to dust off its emergency plans. They were pretty outdated,” former US Under Secretary of Defense for Policy and co-founder of the Center for a New American Security (CNAS), Michele Flournoy, was quoted as saying. Moscow, however, has repeatedly denied playing a role in the Ukrainian conflict. Despite repeated accusations by Kiev and its Western backers that Russia was supporting the rebelling eastern Ukrainian regions of Donetsk and Lugansk with weapons and manpower, no evidence has been presented to support the claims. Nevertheless, since the crisis in Ukraine began, the number of war games held by NATO in Europe has surged. All of the military exercises have focused on a response to a situation in which Russia presumably takes over the Baltic region. According to the German newspaper, a “Russian threat” has been used as an excuse to justify increased military spending in eastern European NATO countries and provide a reason for US troops to be stationed in Europe. DWN adds that there are 40,000 US soldiers in Germany alone, with additional American tanks and artillery on their way to the Baltic States. 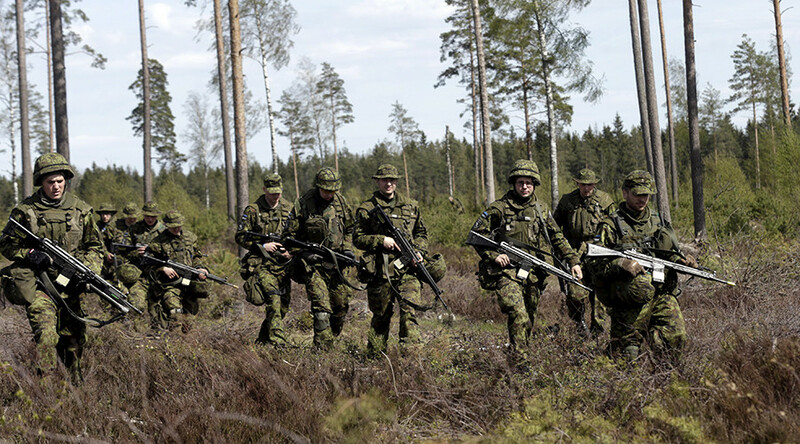 So far, the Pentagon has only war games in mind for the Baltic States. However, nuclear options are also being examined. Recent reports have suggested that US nuclear weapons could soon be coming to Germany, despite a 2009 decision to withdraw the old American nuclear arsenal. Last week there were media reports that the Pentagon was reviewing and updating its contingency plans for a war with Russia for the first time since the collapse of the Soviet Union. “Given the security environment, given the actions of Russia, it has become apparent that we need to make sure to update the plans that we have in response to any potential aggression against any NATO allies,” a senior defense official familiar with the plan told Foreign Policy. Russian President Vladimir Putin told Italian media in June that such “scaremongering” should not be taken seriously, stressing that Russia’s military is “not global, offensive, or aggressive,” and that it has “virtually no bases abroad.” He added that the few that do exist abroad are remnants of its Soviet past. “I think that only an insane person and only in a dream can imagine that Russia would suddenly attack NATO. I think some countries are simply taking advantage of people’s fears with regard to Russia. They just want to play the role of front-line countries that should receive some supplementary military, economic, financial or some other aid,” Putin said at the time. The Russian Foreign Ministry said in August that the US has boosted its troop presence at Russia’s borders to achieve “dominance” in Europe, adding that the military buildup is “counter-productive” and serves as a “financial burden” for member states, as it “distracts” the alliance from dealing with other threats. Both Russia and NATO have been staging military drills recently, with both closely watching each other. In August, the US military launched the largest NATO airborne drills in Europe since the end of the Cold War in what it called an effort to enhance the “security and stability” of the region. 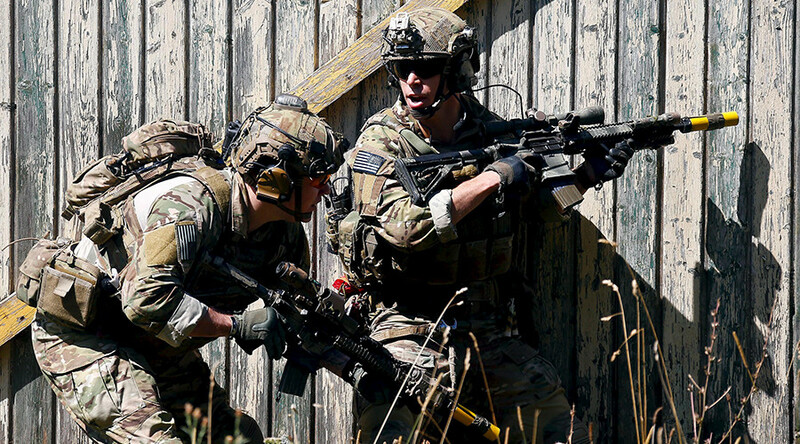 About 5,000 soldiers from 11 NATO member states are participating in “simultaneous multinational airborne operations” which started last week and will last for almost a month, the US army said in a statement. Earlier in the month, the US deployed two MQ-1 Predator long-range unmanned surveillance drones and 70 airmen to Latvia for a training mission. NATO’s drills were answered by Russia’s own, when more than 95,000 troops belonging to Russia and its regional allies launched the annual Center exercises spanning from the Volga River to Siberia. 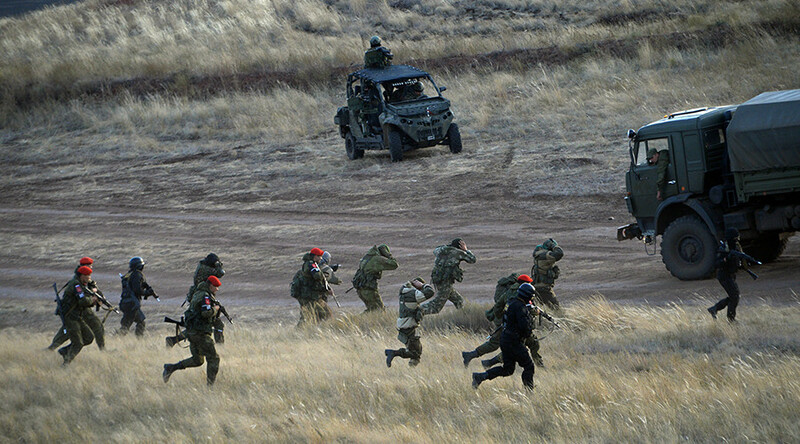 The large-scale drills were the biggest Russia has seen since the Cold War. Back in May, Lithuania, Latvia and Estonia jointly asked for permanent NATO bases, alleging that Russia has the capacity to invade them within four hours of ordering an attack. Moscow lashed out at the move, saying it contravenes the 1997 NATO-Russia Founding Act.